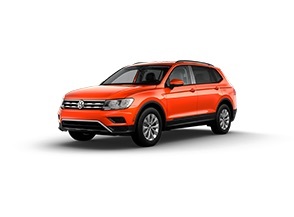 *Closed end lease financing available through April 30, 2019 for a new, unused 2019 Tiguan 2.0T S with automatic transmission, on approved credit to highly qualified customers by Volkswagen Credit through participating dealers in Idaho; Montana; Washington; Utah; Hawaii; California; Arizona; Nevada; Oregon and Alaska. Monthly lease payment based on MSRP of $25,290 and destination charges less a suggested dealer contribution resulting in a capitalized cost of $22,578.52. Excludes tax, title, license, options, and dealer fees. Monthly payments total $10,101 and include acquisition fee of $675. Your payment will vary based on final negotiated price. At lease end, lessee responsible for disposition fee of $395, $0.20/mile over 32,500 miles and excessive wear and use. Offer not valid in Puerto Rico. 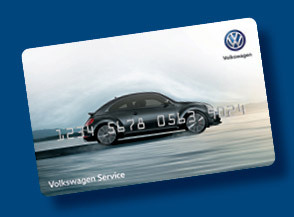 See your Volkswagen dealer for details or, for general product information, call 1-800-Drive-VW. ©2019 Volkswagen of America, Inc.
*Closed end lease financing available through April 30, 2019 for a new, unused 2019 Tiguan 2.0T S with 4MOTION with automatic transmission, on approved credit to highly qualified customers by Volkswagen Credit through participating dealers in Idaho; Montana; Washington; Utah; Hawaii; California; Arizona; Nevada; Oregon and Alaska. 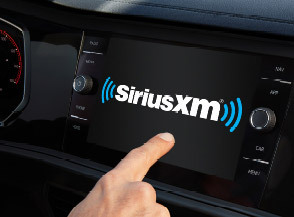 Monthly lease payment based on MSRP of $26,590 and destination charges less a suggested dealer contribution resulting in a capitalized cost of $24,498.47. Excludes tax, title, license, options, and dealer fees. Monthly payments total $10,881 and include acquisition fee of $675. Your payment will vary based on final negotiated price. At lease end, lessee responsible for disposition fee of $395, $0.20/mile over 32,500 miles and excessive wear and use. Offer not valid in Puerto Rico. 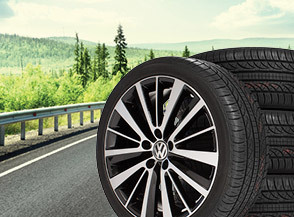 See your Volkswagen dealer for details or, for general product information, call 1-800-Drive-VW. ©2019 Volkswagen of America, Inc.
*Closed end lease financing available through April 30, 2019 for a new, unused 2019 Jetta 1.4T S with automatic transmission, on approved credit to highly qualified customers by Volkswagen Credit through participating dealers in Idaho; Montana; Washington; Utah; Hawaii; California; Arizona; Nevada; Oregon and Alaska. Monthly lease payment based on MSRP of $20,440 and destination charges less a suggested dealer contribution resulting in a capitalized cost of $20,466.01. Excludes tax, title, license, options, and dealer fees. Monthly payments total $9,711 and include acquisition fee of $675. Your payment will vary based on final negotiated price. At lease end, lessee responsible for disposition fee of $395, $0.20/mile over 32,500 miles and excessive wear and use. Offer not valid in Puerto Rico. 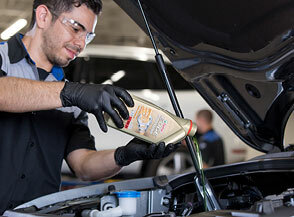 See your Volkswagen dealer for details or, for general product information, call 1-800-Drive-VW. 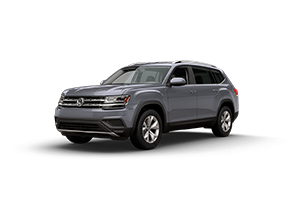 ©2019 Volkswagen of America, Inc.
*Closed end lease financing available through April 30, 2019 for a new, unused 2019 Atlas V6 SE Tech with 4Motion with automatic transmission, on approved credit to highly qualified customers by Volkswagen Credit through participating dealers in Idaho; Montana; Washington; Utah; Hawaii; California; Arizona; Nevada; Oregon and Alaska. Monthly lease payment based on MSRP of $40,090 and destination charges less a suggested dealer contribution resulting in a capitalized cost of $37,110.37. Excludes tax, title, license, options, and dealer fees. Monthly payments total $18,291 and include acquisition fee of $675. Your payment will vary based on final negotiated price. At lease end, lessee responsible for disposition fee of $395, $0.20/mile over 32,500 miles and excessive wear and use. Offer not valid in Puerto Rico. See your Volkswagen dealer for details or, for general product information, call 1-800-Drive-VW. ©2019 Volkswagen of America, Inc.
*Closed end lease financing available through April 30, 2019 for a new, unused 2019 Atlas V6 SE Tech with automatic transmission, on approved credit to highly qualified customers by Volkswagen Credit through participating dealers in Hawaii; California; Arizona and Nevada. Monthly lease payment based on MSRP of $38,290 and destination charges less a suggested dealer contribution resulting in a capitalized cost of $36,575.65. Excludes tax, title, license, options, and dealer fees. Monthly payments total $17,901.02 and include acquisition fee of $675. Your payment will vary based on final negotiated price. At lease end, lessee responsible for disposition fee of $395, $0.20/mile over 32,500 miles and excessive wear and use. Offer not valid in Puerto Rico. See your Volkswagen dealer for details or, for general product information, call 1-800-Drive-VW. ©2019 Volkswagen of America, Inc.
*Closed end lease financing available through April 30, 2019 for a new, unused 2019 Golf GTI S with automatic transmission, on approved credit to highly qualified customers by Volkswagen Credit through participating dealers in Idaho; Montana; Washington; Utah; Hawaii; California; Arizona; Nevada; Oregon and Alaska. Monthly lease payment based on MSRP of $29,590 and destination charges less a suggested dealer contribution resulting in a capitalized cost of $29,533.20. Excludes tax, title, license, options, and dealer fees. Monthly payments total $15,561.02 and include acquisition fee of $675. Your payment will vary based on final negotiated price. At lease end, lessee responsible for disposition fee of $395, $0.20/mile over 32,500 miles and excessive wear and use. Offer not valid in Puerto Rico. See your Volkswagen dealer for details or, for general product information, call 1-800-Drive-VW. 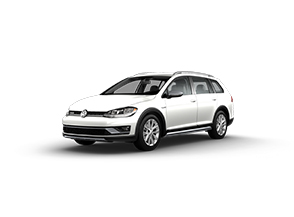 ©2019 Volkswagen of America, Inc.
*Closed end lease financing available through April 30, 2019 for a new, unused 2019 Golf Alltrack S with automatic transmission, on approved credit to highly qualified customers by Volkswagen Credit through participating dealers in Idaho; Montana; Washington; Utah; Hawaii; California; Arizona; Nevada; Oregon and Alaska. Monthly lease payment based on MSRP of $28,890 and destination charges less a suggested dealer contribution resulting in a capitalized cost of $28,050.87. Excludes tax, title, license, options, and dealer fees. Monthly payments total $14,391.01 and include acquisition fee of $675. Your payment will vary based on final negotiated price. At lease end, lessee responsible for disposition fee of $395, $0.20/mile over 32,500 miles and excessive wear and use. Offer not valid in Puerto Rico. 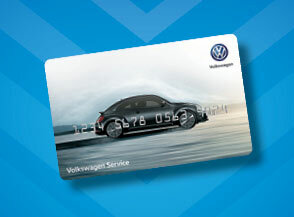 See your Volkswagen dealer for details or, for general product information, call 1-800-Drive-VW. ©2019 Volkswagen of America, Inc.
*Closed end lease financing available through April 30, 2019 for a new, unused 2019 Golf S with automatic transmission, on approved credit to highly qualified customers by Volkswagen Credit through participating dealers in Idaho; Montana; Washington; Utah; Hawaii; California; Arizona; Nevada; Oregon and Alaska. Monthly lease payment based on MSRP of $23,840 and destination charges less a suggested dealer contribution resulting in a capitalized cost of $23,455.79. Excludes tax, title, license, options, and dealer fees. Monthly payments total $11,271.01 and include acquisition fee of $675. Your payment will vary based on final negotiated price. At lease end, lessee responsible for disposition fee of $395, $0.20/mile over 32,500 miles and excessive wear and use. Offer not valid in Puerto Rico. 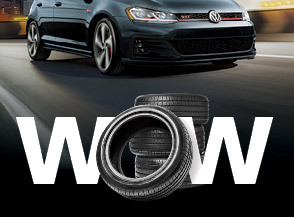 See your Volkswagen dealer for details or, for general product information, call 1-800-Drive-VW. ©2019 Volkswagen of America, Inc.
*Closed end lease financing available through April 30, 2019 for a new, unused 2019 Golf SportWagen S with automatic transmission, on approved credit to highly qualified customers by Volkswagen Credit through participating dealers in Idaho; Montana; Washington; Utah; Hawaii; California; Arizona; Nevada; Oregon and Alaska. Monthly lease payment based on MSRP of $23,890 and destination charges less a suggested dealer contribution resulting in a capitalized cost of $22,903.21. Excludes tax, title, license, options, and dealer fees. Monthly payments total $12,051 and include acquisition fee of $675. Your payment will vary based on final negotiated price. At lease end, lessee responsible for disposition fee of $395, $0.20/mile over 32,500 miles and excessive wear and use. Offer not valid in Puerto Rico. See your Volkswagen dealer for details or, for general product information, call 1-800-Drive-VW. 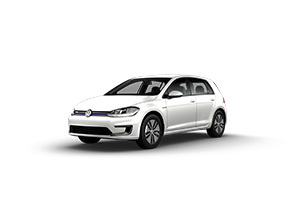 ©2019 Volkswagen of America, Inc.
*Closed end lease financing available through April 30, 2019 for a new, unused 2019 e-Golf SE with automatic transmission, on approved credit to highly qualified customers by Volkswagen Credit through participating dealers in Washington; California and Oregon. Monthly lease payment based on MSRP of $32,790 and destination charges less a suggested dealer contribution resulting in a capitalized cost of $20,661.09. Excludes tax, title, license, options, and dealer fees. Amount due at signing includes first month’s payment, capitalized cost reduction, and acquisition fee of $675. Monthly payments total $9,711. Your payment will vary based on final negotiated price. At lease end, lessee responsible for disposition fee of $395, $0.20/mile over 32,500 miles and excessive wear and use. Offer not valid in Puerto Rico. 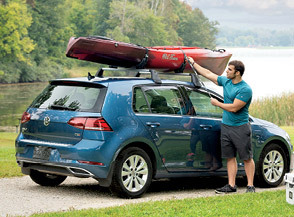 See your Volkswagen dealer for details or, for general product information, call 1-800-Drive-VW. 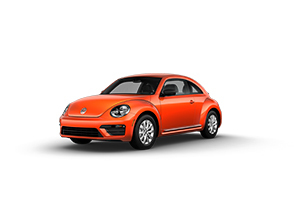 *Closed end lease financing available through April 30, 2019 for a new, unused 2019 Beetle 2.0T S with automatic transmission, on approved credit to highly qualified customers by Volkswagen Credit through participating dealers in Idaho; Montana; Washington; Utah; Hawaii; California; Arizona; Nevada; Oregon and Alaska. Monthly lease payment based on MSRP of $21,790 and destination charges less a suggested dealer contribution resulting in a capitalized cost of $18,612.86. Excludes tax, title, license, options, and dealer fees. Amount due at signing includes first month’s payment, capitalized cost reduction, and acquisition fee of $675. Monthly payments total $10,881.01. Your payment will vary based on final negotiated price. At lease end, lessee responsible for disposition fee of $395, $0.20/mile over 30,000 miles and excessive wear and use. Offer not valid in Puerto Rico. 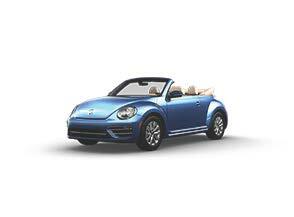 See your Volkswagen dealer for details or, for general product information, call 1-800-Drive-VW. 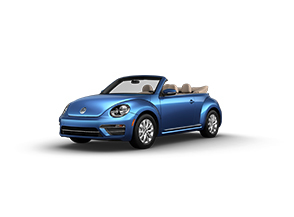 *Closed end lease financing available through April 30, 2019 for a new, unused 2019 Beetle Convertible 2.0T S with automatic transmission, on approved credit to highly qualified customers by Volkswagen Credit through participating dealers in Idaho; Montana; Washington; Utah; Hawaii; California; Arizona; Nevada; Oregon and Alaska. Monthly lease payment based on MSRP of $26,890 and destination charges less a suggested dealer contribution resulting in a capitalized cost of $23,855.62. Excludes tax, title, license, options, and dealer fees. Amount due at signing includes first month’s payment, capitalized cost reduction, and acquisition fee of $675. Monthly payments total $13,611.01. Your payment will vary based on final negotiated price. At lease end, lessee responsible for disposition fee of $395, $0.20/mile over 32,500 miles and excessive wear and use. Offer not valid in Puerto Rico. See your Volkswagen dealer for details or, for general product information, call 1-800-Drive-VW. 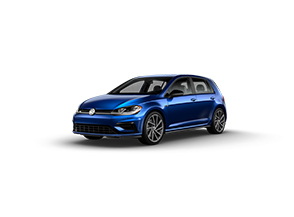 *Closed end lease financing available through April 30, 2019 for a new, unused 2019 All-new Jetta GLI 2.0T S with automatic transmission, on approved credit to highly qualified customers by Volkswagen Credit through participating dealers in Idaho; Montana; Washington; Utah; Hawaii; California; Arizona; Nevada; Oregon and Alaska. Monthly lease payment based on MSRP of $27,690 and destination charges less a suggested dealer contribution resulting in a capitalized cost of $24,851.56. Excludes tax, title, license, options, and dealer fees. Amount due at signing includes first month’s payment, capitalized cost reduction, and acquisition fee of $675. Monthly payments total $13,221. Your payment will vary based on final negotiated price. At lease end, lessee responsible for disposition fee of $395, $0.20/mile over 32,500 miles and excessive wear and use. Offer not valid in Puerto Rico. 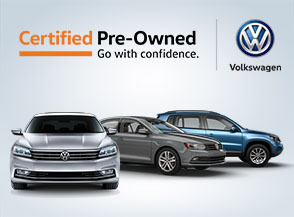 See your Volkswagen dealer for details or, for general product information, call 1-800-Drive-VW.